The eye health of our children is something that we often take for granted. However, research has identified a significant decline in our eye health, with a surprising concentration of myopia in highly urbanised areas. Professor Kathryn Rose from The University of Sydney has tracked the alarming rise in myopia and she has identified insufficient exposure to sunshine as the most likely culprit. Sunlight is an important element in regulating the growth of the eye and the intensity of indoor light is not sufficient to provide for its ideal development. 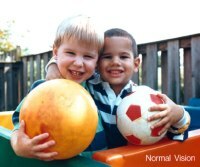 Dr John speaks with Professor Rose about recent research that highlights raising rates of long and short-sightedness in children and identifies kids wearing sunglasses as a possible contributing factor. 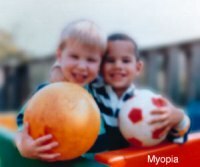 Listen in as Dr John and Professor Rose examine the public health issues that underlie the increasing rates of myopia in the developed world. They provide practical advice, especially for time poor parents, about ensuring their children’s eye health now and into the future. Professor Kathryn Rose and Dr John talk about Myopia and why it is on the rise.